With the great country restaurants of France as her inspiration, co-owner/Executive Chef Alla Wolf-Tasker opened the doors of Lake House in 1984. In the years since, she has been a driving force behind creating a fabulous local food culture, championing regional dining and local produce. Head Chef Brendan Walsh ensures the highest standards are maintained. Located in charming and picturesque Daylesford, Lake House lies on the banks of Lake Daylesford, within the grounds of a small luxury hotel. The menu features an eclectic modern European selection, with a strong emphasis on seasonal, produce-driven dishes. An entree of squid, scallop, clam, white fish and sea succulents is beautiful to behold and delicious to taste; a light kimchi butter brings the dish together with panache. A more rustic offering is the vegetable tart; a truffled custard base is topped with Robiola Rocchetta, greens and herbs, and served with a side of decadent truffled celeriac risotto. You’d think that after 35 years in the biz, Alla Wolf-Tasker would be ready to take it easy. Apparently not: she’s bought a farm. Having championed local farmers for decades, Lake House is going to grow its own produce, strengthening even further the paddock-to-plate ethos that has long kept this in the upper branches of the regional dining tree. “Mushroom season has arrived,” proclaims the menu. “Many of us go out for an early morning forage in the forest’s stillness.” And here are the pungent pine mushrooms, sautéed and folded through pasta, topped with chestnut shavings and kale shards. A main course of pork comes as fat slices of loin grilled over coal, flanked by croquettes dripping with umeboshi puree and a soulful hotpot of baby kohlrabi, more mushrooms and buckwheat. Desserts like deep-ruby orchard quinces with local honey parfait manage to be, like this entire place, perfectly country-style yet comfortably at the culinary cutting edge. Don’t think about dining without doing an appetite-building walk around the beautiful lake first. Lady of the Lake Kelly Allen visits idyllic Lake House Daylesford, our Gold List 2018 Regional Food and Wine Hotel of the Year. FROM MELBOURNE AIRPORT, LAKE HOUSE DAYLESFORD Hotel, Restaurant & Spa is an 80-minute drive via the M8, but not being in a rush, I decide to take the scenic route. I meander through charming country towns, many home only to a post office, general store and pub. I pass rolling farmlands and old stone walls, horse stud farms and several roadside produce stands with honour boxes. I get caught up in the novelty of it all and buy a five kilogram bag of potatoes – a bit silly considering I only have a seven-kilo carry-on allowance on the flight home to Sydney. Such is life on a visit to Lake House Daylesford, awarded Best Australian Hotel in a Food & Wine Region in Luxury Travel Magazine’s Gold List 2018. The Lake House is an oasis of peace and tranquility where time appears to stand still, save for the occasional wandering goose and a couple of locals walking their dogs. My guest cottage overlooks the hotel’s eponymous lake, a spacious retreat with two bedrooms, a kitchen, living room with vaulted ceiling, a deep cushioned linen sofa and soft leather chair next to a log fireplace. There are two chic bathrooms with Elemis toiletries, heated marble floors and a chandelier hanging over a deep free-standing tub. French doors off one bedroom lead to a European-inspired courtyard complete with lavender, climbing vines, a water feature and fire pit. The other bedroom has its own fireplace, a four-poster bed and fur rug. Beyond the glass doors and onto a private courtyard are a day bed and sunken spa. Four touring bikes lean against the fence, should I feel the need to go exploring (zero chance of that right now). 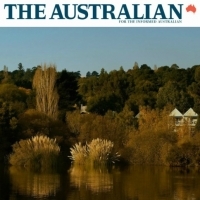 Now in its fourth decade, Lake House has become a multi-award-winning hotel of international renown, quite a feat for a boutique property in a small Victorian country town. But thanks to the ever-enterprising and hard-working Wolf-Tasker family and staff, Lake House is continually evolving. Lake House’s culinary force is matriarch and executive chef, Alla Wolf-Tasker AM, who never seems to slow down. He has a studio nestled onsite amid the fern groves and is generous about letting guests in for a peek at his latest creation. Daughter Larissa, who was only three when the Lake House dream began, has added her talented touch to the interior design of the 33 rooms and suites scattered across the 2.5-hectare property. Daylesford and its neighbouring sister town of Hepburn Springs are known for natural mineral springs and spas, so it’s no surprise that Lake House has a dazzling spa of its own. Salus Spa features private treetop cabins with natural mineral spring spas, along with several unique treatments using products by Elemis. Therapist Tiffany delivers a 90-minute Salus Signature Bliss treatment combining a volcanic rock and warm oil massage followed by a lime-ginger salt body scrub before I’m wrapped in a cocoon, while I have my face and scalp massaged. The treatment concludes with 15 minutes in the Hydrostorm steam and water jet shower to rinse the salts off. Bliss is the word. 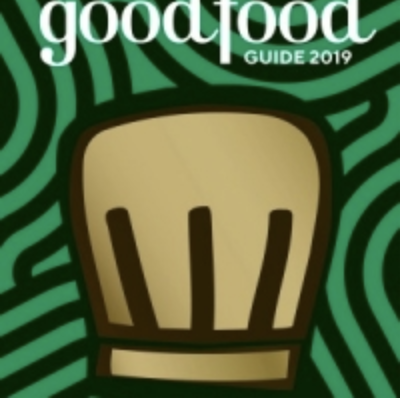 There are many things to like about Lake House, but the highlight has to be its acclaimed restaurant, awarded two Chef’s Hats by the Good Food Guide. It might be cold outside, but the dining room is warm and cosy with an open fire in the centre of the room. Large windows on two sideslook out to the lake and the walls feature paintings of local landscapes by Allan. The service is warm and polished but doesn’t feel formal. Son-in-law Rob Wilson is Beverage Director and recommends the eight-course Tasting Menu, which changes depending on what is available locally and in season. It starts with a sliver of kangaroo sandwiched between flaxseed crackers and just keeps getting better. The freshly foraged forest mushrooms with a truffled mushroom bun are arguably the best thing I’ve ever tasted. Next is Milking Yard Farm chicken with local shaved truffle followed by charcoal-grilled Sher Wagyu with tempura shiitake. I finish with Chocolate in Winter, a delicious roasted apple with chocolate and sorghum. available for private dinners and tastings. The next morning, a private yoga session in my cottage in front of the open fire kick-starts my day. Instructor Adrian brings all the equipment and takes me through 75 minutes of twists and stretches before breakfast. While the food is an undoubted highlight, there are many activities in the area. A walk around the lake is a must, and you should at least try the mineral water fresh from the pump, footsteps from Lake House. The health benefits are renowned, even if it’s an acquired taste. Walking to town takes only a few minutes and there are plenty of art galleries, cafes and bakeries, quirky bookshops and enticing boutiques with handcrafted jewellery, decadent candles and French linens. A stroll to the Wombat Hill Botanic Gardens doesn’t take long, and you can treat yourself to a hot apple cider at the cafe (also run by Lake House) in front of the fire when you get there. will be handing out potatoes to people you meet on the way to the airport. This family-owned boutique hotel is an almost constant work in progress. In the restaurant – its nucleus, its raison d’être – change is noticeable, too. Subtle modernisation this year has given this proper, linen-clad, besuited-waiter dining room a greater sense of the contemporary. We sense, too, greater restraint and imagination in the food, attributable perhaps to a new head chef. But matriarch-owner Alla Wolf Tasker’s hands are all over a menu that focuses as much as possible on supporting Victorian farmer/producers. While adventurous, it rarely strays too far from classic couplings and the value of a good saucier in the kitchen. In winter, it’s dishes like the dry-aged Macedon duck breast with a sticky duck/fig and radicchio sauce/compote you’ll remember, or a beautiful piece of thin, buttery pastry at the base of a truffled custard tart with fresh curd and winter vegetables. Silken chestnut pasta with mushrooms and confit duck yolk is quintessential LH. As is the simplicity of roasted quince, local honey parfait and “biscuit”. The wine list is stunning, fresh and handled with the right balance of deference and friendliness. In all, a remarkable example of talent and determination. Alla Wolf-Tasker, founder of the Lake House, has helped define Australia’s regional cuisine movement through her acclaimed restaurant, cooking school and luxury lodge in Victoria. The release of her latest book is testament to the evolution of her own culinary style, and her contribution to Australia’s vibrant gastronomic scene. Where does your passion for cooking stem from? My parents were post-WWII migrants to Australia. After years of hardship and food rationing it was no wonder that for them the sharing of food was an ultimate way to express affection, love and hospitality. They were also both very good cooks and my favourite childhood memories inevitably revolve around either or both of them cooking something delicious for us or in preparation for guests. How much of your Russian heritage will we find in your cooking? It’s an interesting thing that I had rejected that heritage when I was a young cook, concentrating on the rigours of French culinary technique. However, the apple never falls far from the tree and I can now see how the ingredients and flavours of my childhood and Russian cuisine have always slipped in and out of my cooking. Smoked eel, beetroot, horseradish, wild forest mushrooms gathered locally with my mother since my youngest days; fermented products – now increasingly taken up by young cooks and consumers for their deliciousness and health-giving properties – were always such a feature of my mother’s kitchen. These are all routinely produced or gathered and used by us for our menus at Lake House. You’re a force behind Australia’s growing regional dining movement; what does regional dining mean to you and why should it be something travellers support? 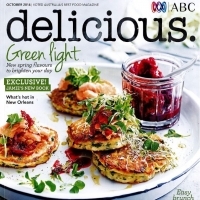 I’m credited with kick starting or ‘trail blazing’ the idea of regional destination dining in Australia. I’d seen it as a young cook in France of course; the idea of a restaurant being able to truly immerse itself in a region, or even perhaps influencing the food that is grown and produced in that region, was enormously attractive to me. It creates a real ‘sense of place’. 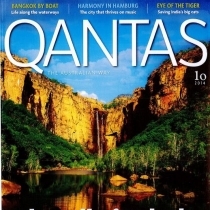 Of course, at the time there were no regional destination restaurants in Australia and for very good reason. That dream of creating a sustainable food community around us took some considerable time to achieve. It’s not exactly been an overnight success story. However, now that we have it, the support and interest from our guests is phenomenal. It’s quite clear that they are interested in understanding the provenance of their food – where it comes from and what’s been done to it during the growing process. Guests also like knowing that we often have a direct and very close relationship with our suppliers. They are able to meet some of them at our local weekly organic market and also at the masterclasses we run at our cooking school. The questions and conversations would go on for ages – if we let them. There is so much to know when one wants to make conscious decisions about the food we consume or feed our families. What can you tell us about the development of your restaurant and luxury boutique hotel the Lake House? What was Daylesford like before you arrived? It’s a long story. Even back when we started, our region was always beautiful, with wonderful forests, rivers and lakes and fertile volcanic soil, but it was economically depleted. The challenge in its resurrection has been to maintain its charm and natural beauty whilst making it more livable, to celebrate the creativity and strengths of the local community, and to find sustainable ways to share all this with visitors. I think we have succeeded. The hotel has hosted some of Australia’s leading chefs – how important is cuisine to your guests and what influence do you see your masterclasses having on the travel scene as a whole? 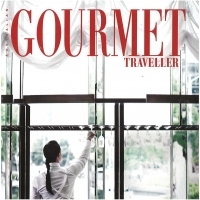 Good, delicious food is an essential element of enjoyable travel. 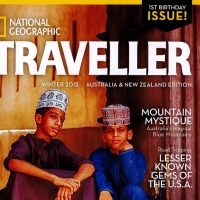 Often, it’s an important reason for travellers choosing a destination. We have many guests who come to stay at Lake House because of the reputation of our restaurant, its beating heart. Our cooking school takes that desire for good food the one step further that many seasoned savvy travellers are seeking. The various artisanal producers and high profi led chefs that are a regular part of the cooking school are often the icing on the cake for guests’ stays. For me, having some of the best chefs in Australia participate gives me a chance to catch up with my colleagues but also to exchange ideas. This July you’re launching a new book of recipes, Three Decades On – Lake House and Daylesford; what are some of your favourite dishes from the collection? Any discussion of a favourite dish for me always revolves around seasonality. We may be foraging for wild mushrooms in Autumn and pairing them with chestnuts from an orchard down the road; slow cooking local suckling pork to pair with the fi rst peas of spring, or creating our apple ‘sphere’ using late summer locally-harvested apples and cider – all of these are some of my favourite seasonal dishes and are included in my book. 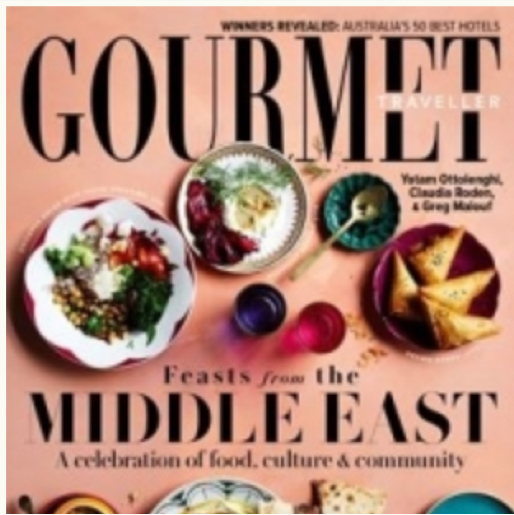 How has Australia’s food culture evolved? Australia’s food culture came from fairly humble beginnings. However, those beginnings were in many ways an advantage in that there were few culinary traditions that might serve to restrict the creativity of our chefs. The influx of migrants from all over the world has resulted in a melting pot of culinary ideas and also a global pantry of ingredients. At its best, the result is a uniquely diverse style that we can claim as our own. I also think this has been fostered by the enthusiasm and adventurous nature of the Australian dining public. Interest in who is cooking what and where has never been higher. What’s your ultimate comfort dish? I have wonderful memories of my father’s delicious and very traditionally Russian cabbage rolls. What are some ingredients you’re experimenting with at the moment? 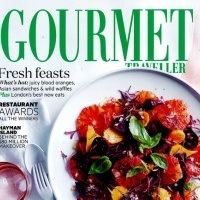 Seasonality once again is front and centre of what my kitchen and I may be interested in for new dishes. We know what produce is around the corner and develop dishes around that produce. We often work with local growers up to a year ahead for plantings of specialty items we may be interested in. This past summer we used cucumber fl owers as a key ingredient on one of our dishes. Black radishes, watermelon radishes, miniature corn, and green and purple cauliflower are other examples of special plantings. Your daughter is now involved in the business – what are the most important words of wisdom you’ve passed down to her? In terms of the business, it’s probably what I always seek to instill in our team here – all 120 of them – and that is if you are lucky enough to find something you love to do, honour that by striving to be the very best you can be at it. Even when it seems that you have reached stratospheric heights in terms of accolades, never, ever rest on your laurels. We’re a restless family I guess. Lake House continues to be a work in progress; there are always plans and dreams around its continued betterment and the addition of special experiences for our guests. 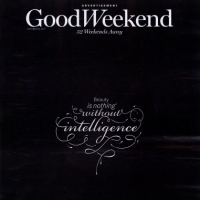 Personally, I am currently engaged in the development of an Institute of Good Food and Gastronomy for Daylesford. It’s an exciting prospect and would likely operate as a foundation on a not-for-profi t basis. Then there is my scholarship fund, which assists Australia’s regenerative growers and artisanal producers to take up opportunities for learning and development. Most exciting for us however is our recent purchase of a nearby vineyard, olive grove and farm, which will allow us to develop a collaborative farm model with local growers and will also eventually offer additional luxury accommodation for those of our guests interested in spending some time within that type of environment. It will also offer the provision of our own estate-grown wine, olive oil, fruit and vegetables and possibly more. Watch this space! Three decades ago, Alla and Allan Wolf-Tasker saw the potential of the quiet central Victorian spa town of Daylesford and opened an ambitious restaurant and country house beside pretty Lake Daylesford. Since then, Lake House has set the benchmark for Australian regional hospitality and helped reposition the town as the state’s most indulgent destination. Lake House is continually evolving – expect revamped waterfront studios and a lake-facing horizon pool by year’s end – but it’s always defined by its gorgeous setting, smart service, indulgent treetop spa and destination restaurant. Drive through the gates and feel the tension leave your shoulders. Lake House’s beautiful gardens, lake glimpses, treetop mineral baths, tennis court, new infinity pool, lauded restaurant and “lagoon deck” create another world, a kind of Narnia for adults. Studios and suites, arranged village-like, all have views of Lake Daylesford or gardens. With plenty of interior space and maximum comfort — sunloungers on the balcony, soft throws on the bed and couch — it can be hard to drag yourself away. But there’s the lure of the day spa, or perhaps a cocktail by the fire in the library, enhanced by polished, personable service that hits the sweet spot between relaxed and formal. A great place in which to disappear from the real world. Small but important gestures include vases of freshly cut flowers from the estate’s garden, a night-time aromatherapy ritual, and stacks of good magazines. After 35 years, Alla Wolf-Tasker’s regionally focused restaurant remains one of the best in Australia, a masterclass in precise cooking and top-quality ingredients. Breakfast in the Lake House restaurant is a highlight. 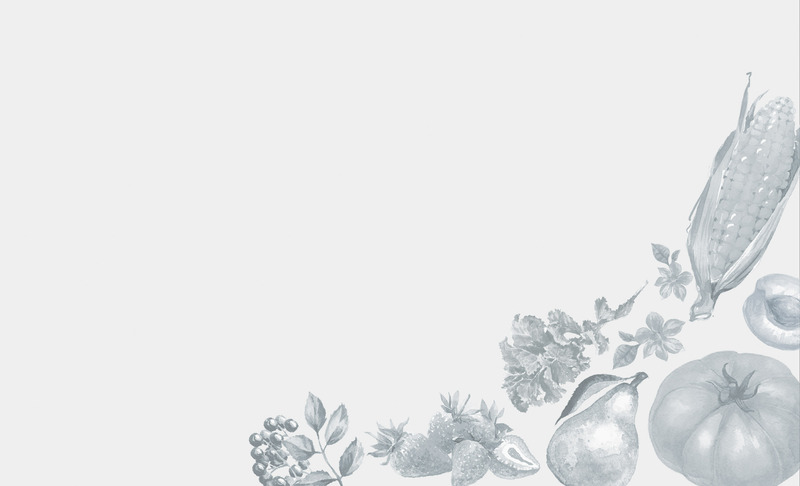 A spread of poached and fresh fruit, baked treats and house-made jams is teamed with cooked dishes that include house-made crumpets with sweet or savoury toppings (try the maple syrup and bacon) and the full farmhouse shebang. Return for lunch or dinner to take advantage of the superb cellar. Gather for drinks in the Argyle Library Bar or, in fine weather, the lagoon deck in the company of kookaburras. Both venues offer superb drinks lists and snacks such as anchovy pastries and one-bite gougeres. WHERE About 112km north-west of Melbourne, an 80-minute drive. COST From $674, with breakfast and lunch or dinner. AT A GLANCE 33 studios and suites; bar, restaurant, day spa, pool, sauna, tennis court, bikes, free parking. IN ROOM Free WiFi, balcony or courtyard, some baths, coffee machine, pillow menu, Elemis toiletries. BEST ROOM The two-bedroom Retreat Villa has a kitchen, bars, lounges, outdoor spa and fire pit. Alla Wolf-Tasker opened the Lake House three decades ago. As she releases a cookbook to celebrate, exciting new projects are around the corner. 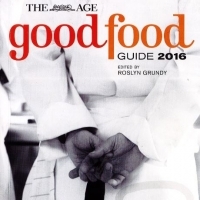 In an age in which any flash-in-the-pan chef brings out a cookbook after two years in business, three decades deserves a street parade and glitter cannon – or, in Alla Wolf-Tasker’s case, a book pretending to be about Lake House but mostly celebrating the small producers who have helped make central Victoria one of the nation’s most exciting food destinations. There’s never a very long time between drinks at this scatter cushion-strewn paradise on the shores of Lake Daylesford. Lake House is an idyll and aperitivo hour is its north star. But it has been a while between books -10 years, to be exact -which makes Three Decades On: Lake House and Daylesford not just a worthy marker of the passing years but a timely reappraisal of a food world that has irrefutably changed since Alla and Allan Wolf-Tasker first spied their future on a trash-filled piece of land next to a waterway that was more swamp than lake on the edge of a depressed country town. It’s an origin story Alla Wolf-Tasker is understandably tired of retelling, but much like a child with a favourite book, its appeal to the food-interested public is undiminished. The car wrecks they had to pull from the waters. The caravan they lived in during the four-and-a-bit years it took to build Lake House. The Thursday trips between their day jobs in the city, infant daughter Larissa strapped in the back seat, to spend four services in their 45-seat restaurant convincing Australian diners to submit to the pleasures of twice-baked goats’ cheese souffle, shiraz-glazed pigeon and tarte tatin. To put Lake House’s 34-year odyssey into a broader perspective, its debut in 1984 was the same year Tansy’s was the Good Food Guide’s best new restaurant and an unknown Ferran Adria was being hired as a line cook at a French restaurant called elBulli. 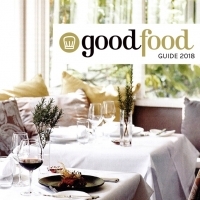 Lake House itself in its first year received the GFG endorsement of being “worth a special trip to Daylesford”, then a forgotten town surrounded by Big Agriculture where eight shops operated along the otherwise deserted main street and unemployment hovered at more than 20 per cent. That they not only survived but thrived, adding accommodation, a spa, cooking school and cafe and scooping up countless awards in the process, is all the more impressive given that 20 years in the restaurant world is like 90 in the rather duller place known as the real world. Wolf-Tasker laughs now at the build-it-and-they-will-come mentality (not to mention the tears of her Russian mother, who owned a dacha – small country house -nearby and was aghast at her daughter’s mad plan), but history did prove their “unrealistic vision” correct. Lake House is often credited – quite rightly- with kick-starting regional destination dining in Australia at a time when travelling within Victoria was distinctly unfashionable and the smart set flew to the Gold Coast for their holidays. This is the pointy end of the Lake House story, one that might be studied by an enterprising PhD student in food sociology. To put it in modern social media parlance, the Wolf-Taskers became influencers. Not only intent on keeping guests well fed, they encouraged a sustainable community of small producers to grow around them. The pursuit of that critical mass saw Wolf-Tasker embark on a three-decade crusade requiring energy levels approximating the Tasmanian devil in the Looney Tunes cartoons. She started Daylesford Macedon Produce to connect restaurants, cafes and local producers. She initiated the first committee on tourism for the region. She sat on countless restaurant and tourism industry bodies and government think-tanks. 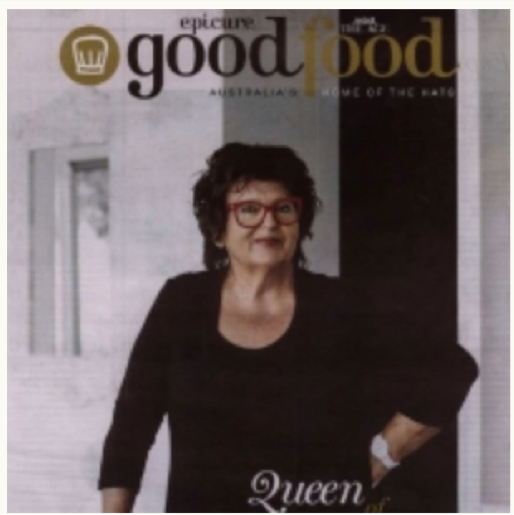 She became a mouthpiece for the region and the restaurant industry, an ally for its producers and has been made a Member of the Order of Australia (making her officially Alla Wolf-Tasker AM) for her efforts. Underlying all these “extracurricular activities” is the philosophy that a regional destination restaurant cannot exist in isolation from its region. The producers are the real heroes of Three Decades On. The Daylesford Story. 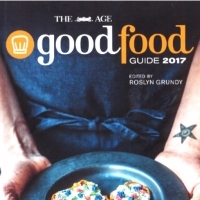 Among those highlighted in the book: Bruce and Ros Burton’s organic chickens from Milking Yard Farm. Carla Meurs and Ann-Marie Monda of Holy Goat cheeses. Tim and Deri-Anne Wyatt, the “plant whisperers” of Angelica Organic Farm. Sharon Flynn and Roger Fowler from The Fermentary, which has taken over a disused abattoir on the edge of town in its pursuit of “gut democracy”. Make no mistake: Three Decades On is a fun read (and it has recipes and all the lush photographs required of a book that can move easily from the kitchen bench to the coffee table). Wolf-Tasker writes as well as she cooks and the move to self-publish has given her the delicious prospect of “a chance to tell some truths”. She takes a timely pot-shot at the FOMO (fear of missing out) that hums underneath identikit restaurant menus as chefs go chasing each other down the rabbit hole of food fashion. Self-evidently a believer in finding your voice and sticking to your guns (every dish on that debut 1984 menu could still appear on the Lake House menu, although the pigeon will have come from a more reputable supplier these days), even a chef as revered as Wolf-Tasker can admit to occasional pangs of self-doubt. The Wolf-Tasker remit has stretched beyond the borders of the Hepburn Shire Council to take on a national complexion. Last year saw the launch of her Good Food Matters Regional Producers Scholarship, which provides $5000 for a small producer to boost their skills through travel or training. And next on the to-do list is the not-for-profit Institute of Gastronomy, a collaboration with William Angliss intended to plug the skills shortage plaguing kitchens across Australia that has just finalised its first report for the business case and is hoping to start looking at central Victorian locations. The clincher was the proud line of birch trees along the driveway, a reminder of her mother’s Daylesford dacha that started the whole thing. From little things big things grow. If Mother Nature had her own pantry, it would be the Lake House. For 33 years, this Daylesford restaurant and getaway – under the expert guiding hand of founder and culinary director Alla Wolf-Tasker – has been nurturing specialist provedores in central Victoria and showcasing their bounty on menus that seem almost hardwired to the seasons. A visit to Lake House in early spring saw head chef David Green sending out a charred onion broth heady with truffle comte, dry-aged duck nestling with beetroot, smoked potato and preserved elderberry, and peak-condition vegetables (chestnuts, pumpkin, kale and artichokes) tucked into butter pastry with a goat’s curd fondue. Green has a special affinity for fish, netting Murray cod, trout, smoked eel and freshwater crustaceans for a delicate entree, and elevating pearl-white black kingfish (cobia) with an Asian-scented veal broth and a latticed cod cracker. Stunning. Then there’s ‘the apple’, a gorgeous dessert where a sphere of eggshell-fine white chocolate on Granny Smith granita hides jellied treats. The service is seamless, while the cellar is one of rare depth and complexity. Some visitors favour Lake House to savour the view, but it is after sundown when this dining room truly twinkles, toasty light bouncing off the gleaming surfaces and jazz tunes tinkling in the background like water. Weekends away: who doesn't love them? Even if you're frazzled beforehand, you only have to get to the airport, or drive out of town, to feel yourself exhale. 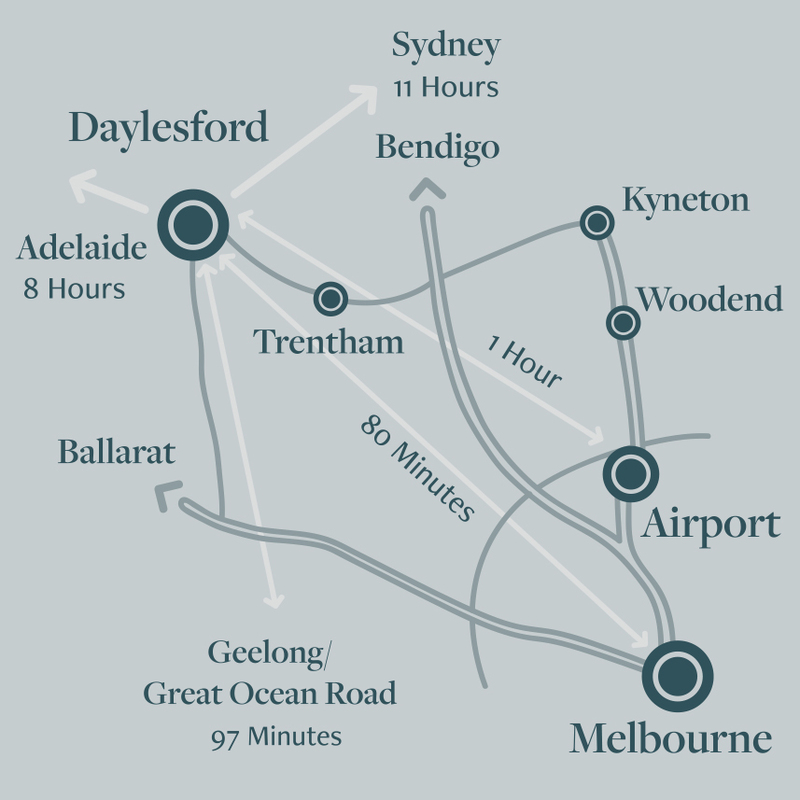 THE LOCATION Just 80 minutes from Melbourne, Daylesford gives good country escape. City slickers needn’t fret about their caffeine fix: there are plenty of cute cafes for macchiato and smashed avo toast, plus quirky galleries and quality bookshops. Heritage townships, hikes through the forest and healing mineral springs are all within easy reach. THE PLACE It started as a restaurant but Alla Wolf-Tasker’s The Lake House has blossomed into a full-blown gourmet retreat, with its own cooking school and 30 rooms scattered through the 2½ hectares of country gardens. The light-filled Waterfront Suites are hard to resist, with their textural fabrics, original artworks and couches to curl up on. THE EXPERIENCE A stay at The Lake House is a feast for the senses. Morning mist draped over the lake; vases filled with sweetly scented blooms; velvet sofas; eye-catching canvases by Alla’s husband, Allan. Above all, it’s about tempting your tastebuds. The seasonally driven menus draw inspiration from across the globe: visitors might opt for a tempura of Moreton Bay bugs in nori, spiked with hits of coriander, chilli and wasabi, or local smoked eel wrapped in pancetta. The wine list is equally impressive: ask to take a peek at the cellar, which holds 12,000 bottles. DON’T MISS A session in the Salus Spa, surrounded by leafy treetops, is the ultimate Lake House indulgence. Before that, enjoy a mineral-rich soak in one of the tubs overlooking the lake. 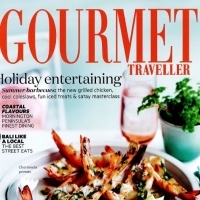 IDEAL FOR Food fans and bon vivants. A meal at Lake House is a sonnet to the good life in edible form. 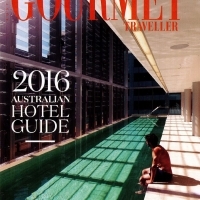 One of the state’s most decorated regional restaurants, it’s a reason to hit the road (preferably to stay overnight in the equally lauded accommodation), but at the very least to grab a taste of central Victorian terroir, where the menu speaks of the seasons and the latest regional produce to pass the kitchen doors. Alla Wolf-Tasker thinks globally and acts locally with her jazzed-up take on steak tartare, where raw Sher wagyu and translucent bresaola meet crisp beef tendon, giant capers, soft-centred quail egg and piquant sauce gribiche: so too the pancetta-girdled rabbit ballotine with Champagne and garlic foam. There are Asian accents in a John Dory fillet and scampi tail with apple kimchi and edamame, all enveloped in butter sauce. Desserts such as the berry-strewn, multi-textured “summer ramble” give as beguiling a sense of place as the elegant dining room and its sweeping lake views. Two Hats 17.5 out of 20. Regional dining pioneer is a masterclass in how to do it right. Make sure to arrive early for your meal here – the Lake House experience wouldn’t be complete without an aperitivo on the terrace overlooking the lake. It’s the perfect drumroll to food that paints a portrait of the region with quality ingredients and precise cooking, something owner chef/legend Alla Wolf-Tasker has been doing for more than 30 years. Wild rabbit might arrive three ways – pancetta-wrapped ballotine, mousse and rillettes – while free-range duck glistens under a glaze made from local medlars. Assured service ensures the hits keep coming with precision timing – maybe it’ll be chestnut pasta with wild mushrooms and confit duck yolk or a pretty ‘summer ramble’ dessert that highlights the beauty of fresh-picked berries – while the 40- plus page drinks list embraces local wine and beer, benchmarking them against great producers from the old and new worlds. Add a comfortable and meticulously maintained dining room and it all adds up to a dining experience perfectly attuned to place and escape. Commit to giving the wine list a nudge and stay the night in Lake House’s luxurious accommodation. LAKE HOUSE, DAYLESFORD Just 90 minutes from Melbourne, idyllic Daylesford is a small country town in the middle of Victoria’s spa country, known for its natural mineral springs and healing spa retreats. Daylesford is the ideal location for a luxury winter escape, not just for a soothing soak, but also as somewhere for food and wine lovers to relax and enjoy. Think frosty morning walks, afternoons in front of the fire with a good book and a glass of red, before finishing the day with a sumptuous, slow dinner. This is where Lake House comes in. The property’s two-hatted restaurant is famed for its cutting-edge, seasonal dishes made using local produce and accompanied by an internationally ac-claimed wine list with more than 1,000 labels. Nearly everything is made in-house, from the freshly baked breads to the charcuterie range – local lamb, grass fed beef and goat’s milk cheese are often delivered in the morning. Lake House’s 33 rooms and suites sit on six acres of country gardens, brimming with native birdlife (and the odd koala). Keep an eye out for the Kitchen Garden with its edible shoots and flowers or the sculptures and artworks from local artists. Relax with a cocktail in the Argyle Library Bar or have a hit of tennis in the winter sunshine before retiring to the pavilion for refreshments. The Salus Spa sits among the treetops with its airy Scandinavian-inspired spaces and mineral spas overlooking the lake. In winter, treatments are infused with pine and eucalyptus from the hotel gardens. 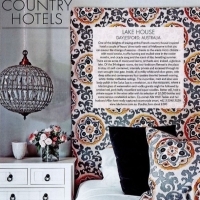 Lakeside luxe - This country retreat indulges all the senses. The Victorian bush is rarely kind to European dreaming. It can be a merciless place, particularly in summer when the north wind preys on anything tender and green and the earth surrenders all moisture. That a bruised, blue-gummed cutting on the edge of Daylesford could be a place of nourishment, healing and luxury would have seemed laughable more than 30 years ago. Sitting on the silvered deck of Lake House, a Campari aperitivo chilling on ice and the evening sun breaking on the lush canopy of a mature Golden Poplar, it is hard to imagine Allan and Alla Wolf-Tasker as young, would-be restaurateurs, scrambling up and down the edge of this disused mine site with Michelin stars in their eyes. Vaut le voyage, they kept imagining in the language of the old Red Guide: worth a special journey. This is indeed a special journey for us. The kids are back in Melbourne and with them the weekend mind- puzzle of junior sport, Saturday traffic and peacekeeping duties. Even the drive along the flat Western Highway feels indulgent. When you are midlife and mortgaged, nothing says freedom like empty seats in a people mover. We’ve come to eat, to rest and eat some more. Although the heart of Lake House remains Alla’s celebrated kitchen and the bones of the original weatherboard restaurant that Allan designed and built, their family business is now a full sensory ecosystem. There are 23 rooms, nine suites and two villas to stay in, a spa resort that draws from the mineral springs and for those who yearn for a more active retreat, cooking classes, tennis and walking tracks into the Wombat State Forest. The newly refurbished Waterfront Suites line the bank of the lake, with private balconies and privileged views to a tangle of bluegums and volcanic Castlemaine rock. Both feature in many of Allan’s vibrant landscape paintings, on display throughout the resort. We’ve been given an added privilege: the key to one of the Retreat villas. Ours is called the Atrium, a country cottage of peaked ceilings, clerestory windows framed by birch leaves and an unpretentious luxury that is eclectic yet elegant. A deep, linen-upholstered sofa invites you to put socked feet up rather than on the smooth timber boards. White painted dado panelling and a worn leather armchair are lit by an eccentric, bird-motif chandelier. In the bathroom, marble flooring is heated to a precise 26 degrees. Plantation shutters provide filtered views into a secluded courtyard. A gravel path leads to a private gazebo by the lake, and touring bikes are at the ready for a gentle ride into town. And so to dinner. Alla Wolf-Tasker has been doing farm-to-plate since beards were the hallmark of hippies, not food hipsters. This weekend the beef is from Ballan, half an hour down the road; the eggs are from an open-range farm just outside Daylesford. The eels were last seen slithering in Skipton, the other side of Ballarat. Tomorrow morning’s bacon was raised and smoked 10 minutes down the road in the tiny town of Musk. We ease into two nights of feasting à la carte before peaking with a finely balanced seven-course tasting menu and matched wines. Reviews of food of this quality are better left to writers of greater Lethleanings. Each year Lake House is rated as one of the best, if not the best, country restaurant in Victoria. Our favourite dish is a velvety lamb rump to share, and the pick of wines a Mas Amiel Maury sticky served with a selection of local cheeses. A final word from the Salus Spa, where a well-trained masseuse is digging her elbow deep into the tender knots along my lumbar, easing the tension from beneath my scapula… sorry, what was I saying? Perfect for: Self-funded foodies; parents on weekend leave. FOR as long as the doyen of Daylesford has been tramping through the hills with her basket brimming with the bounty of the land, has the Lake House been one of the state’s best country dining rooms. Which is to say, as long as most can remember. good butter and salt to start, through the comfort of supple pappardelle tossed through roasted chestnuts, the elegance of house-smoked eel with trout “jelly” or the five-a-day delight of a pecorino tart topped with all good things green. And then there’s “the apple” — the dessert as pretty as it is clever that remains reason enough to visit. Not that you need one, with the kookaburras perched on the balcony completing a picture perfect vision of country life. Even the most tightly wound city dwellers will find themselves recalibrating to Lake House time as they segue from lunch at Alla Wolf-Tasker’s acclaimed restaurant to a treetop spa, to a pre-dinner cocktail on the sunset-facing upper terrace or by the fire in the lounge. There are a couple of hectares of English-style grounds to explore, cooking classes to take, picnic hampers to enjoy by the lake in the company of the ducks and geese. But let’s not underestimate the pulling power of a constellation of well-spaced rooms and suites, all with either a lake or garden aspect. Like the spiritual home of the alpaca throw and the scatter cushion – think Martha Stewart does French Provincial – they’re designed with nothing more energetic than lazy lingering in mind. We love The palpable respect for provenance, from the bowl of just-picked cherry tomatoes at the reception desk for guest snacking to the sourdough bread baked with local Powlett Hill biodynamic spelt flour, and paintings by resident artist Allan Wolf-Tasker. Don’t miss Lunch or dinner in the restaurant. Alla Wolf-Tasker’s menu is rooted in European technique and produce plucked from the house’s impressive kitchen garden or sourced from local producers. It’s backed by a blockbuster wine list and slick but personable service. Eating in The day begins in style in the light-filled dining room with a classy breakfast spread of pastries, frittata, smoked salmon and poached fruit, with a concise menu of cooked items such as minted pea and zucchini fritter with poached egg. or hazelnut hotcakes with banana sorbet and peanut-butter granola. In-room dining is limited to bistro-style fare such as grilled chicken focaccia and fish and chips. Stepping out Daylesford’s vibrant town centre is in easy walking distance. Staff offer recommendations for bookshops, galleries, antique stores, wineries, farm gates and markets. The storied Hanging Rock is worth the 40-minute drive, while the trip to beautiful Trentham Falls takes half that time. Drink up Aperitivo is taken so seriously at Lake House that it lasts three hours (from 5.30pm), and your classic Martini or Aperol Spritz will arrive with canapes such as spiced nuts and crumbly parmesan sable. The wine list is a behemoth in which the Old and New Worlds battle it out for supremacy. IDEAL FOR. 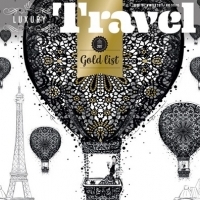 Luxe-loving country ramblers and dedicated oenophiles. Finding Balance - A weekend at a country wellness retreat or a few hours in a city spa - both are a good way to kickstart your fitness. a really good coffee, a workout at the gym and horse fodder. That’s about as indulgent as Daylesford normally gets for me.  And so it’s a little unusual to have an hour and a half to linger and experience one of the special offerings that attracts so many visitors, from around Australia and the world, to this famous spa town 115 kilometres north-west of Melbourne: a luxurious therapeutic treatment. I am at the divine Salus Spa, tucked away in the lush green gardens of the multi-award-winning Lake House Hotel Restaurant and Spa, overlooking Lake Daylesford. Started in what was then a weedy paddock by entrepreneurial couple, artist Allan Wolf-Tasker and his foodie wife Alla, more than 3o years ago, Lake House is often credited with putting Daylesford on the map. Everything about this place, with its 33 elegant rooms and luxury suites set among two hectares of country gardens and surrounded by walking tracks and natural mineral springs, exudes quality, service and tranquility. At the Salus Spa, I am experiencing the Salus Signature Bliss — a toe-to-top treatment personalised for Lake House. It starts with the Welcome Touch foot cleanse and pressure-point massage, followed by an all-over dry body brush. This light, rather pleasant exfoliation precedes a gentle, soothing massage with warm frangipani body oil. The therapist uses soft fingertip strokes followed by warm volcanic rocks as massage tools, to glide along the muscles, seeking out tight spots, easing aches and releasing tension. My whole body is then given an invigorating cleansing scrub with lime and ginger salts, leaving my skin refreshed. The scrub stays on the skin while I’m wrapped and treated to a relaxing face and scalp massage with coconut oil, which is drawn through the hair. top treatment tip The treatment room at Salus Spa is set up for two and the therapist tells me Signature Bliss is the perfect mother/daughter treatment and is popular with hens’ groups. TREATMENT Salus Signature Bliss, 90 minutes, $225. 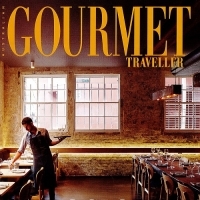 One of Victoria\’s best places to enjoy good food and exemplary hospitality. Everything about Lake House announces the importance of good food, wine and relaxation. The dining room is luxurious, the lake view windows a witness to each season, and the service is polished and warm. There\’s a story behind every ingredient: the forest mushrooms foraged daily when abundant, the yabbies netted in local dams, the wagyu and apples from nearby friends. Alla Wolf-Tasker\’s Russian heritage is threaded through the menu, too. Her father bartered home-made vodka for eels; now smoked eel always features. Technique is a strong point but, rather than feeling buttoned up, it\’s applied with expansive joy. That\’s exemplified by the quail, a fiddly bird made bountiful with careful filleting, then basted with tarragon butter and smoked over pine needles. Desserts may surprise with sophistication, as with a white chocolate globe containing caramelised apple, walnuts and cider jelly, a final exhortation to utterly enjoy. 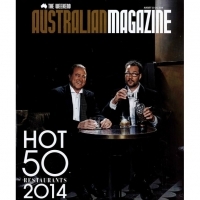 The Hot 50 Restaurants in Australia. Long before the current crop of chefs were but an itch in their tattooist\’s ink finger, there was Alla Wolf-Tasker tramping through the Daylesford hills, her basket filled with the found bounty of the land. Yes, everything old is new again, and Wolf-Tasker – a true champion of ethical, sustainable, local and seasonal – has been doing the foraging thing as a matter of principle for more than three decades. It\’s the rest who have finally caught up. Lake House remains the quintessential country manor where a long lunch – or a longer dinner for those staying over – is a celebratory affair, where staff share their enthusiasm for the good life that comes with breathing clean country air. The generosity plays out in food that\’s refined but not fussy, where best-in-season shines bright. Wolf-Tasker is committed to constant culinary refinement, abreast of but not rusted on to modern developments. The result is Euro-accented food that has never been better. Roasted chestnuts and meaty mushrooms snuggle with a sticky confit duck egg yolk for a vision of Winter as delightful as the mist-shrouded lake; a smoke-filled cloche reveals a truffle-buttered quail breast for a touch of modern theatricality, while a patch of sweet baby brassicas top a buttery pecorino tart of quiet achievement. Service staff can be benchmarked against the country\’s best. Many come to Lake House for its award-winning restaurant alone, but staying overnight take the experience to the next level. 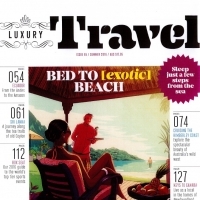 The luxuriously appointed rooms – waterfront suites, new Lodge studios and suites, and The Retreat with its sunken tub, firepit and private bar – are in a village-like cluster. All are linked by gravel paths that meander through lush landscaping, offering glimpses of the lake, tennis court, kitchen garden and the Salus Spa with its tree-house mineral baths. It\’s tempting to hunker down in-room and enjoy the private verandas, upholstered window seats, throw rugs and piles of scatter cushions. But only if you can resist the lure of a lake walk, a picnic (hampers arranged, blankets provided), a session at the cooking school, an aperitivo on the new terrace overlooking the lake, or dinner – included in the tariff – in one of the country\’s pioneering regional restaurants. We love Alla Wolf-Tasker\’s regional, seasonal approach in the 32-year-old Lake House restaurant. European technique, subtle Asian Influences and the finest local ingredients team beautifully with an award-winning wine list and exemplary service. Thoughtful extras There\’s lovely attention to detail at Lake House, whether it\’s the availability of kites, fishing rods, walking-trail maps or bags of breadcrumbs to feed the lake\’s ducks and geese. Or the breakfast-to-go menu, for travellers checking out early. Eating in Breakfast in the Lake House\’s light-filled dining room is a highlight. It combines a buffet – loaded with everything from muesli and poached fruit, sweet pastries and bagels to excellent smoked salmon – with a menu of cooked dishes. Fresh juice, a range of fine teas, well-made coffee and sharp service are included. There\’s limited room service, from noon to 3pm and 6pm to 9pm. Stepping out Daylesford\’s mix of galleries, cafes, wine bars, and homewares and antique stores is perfect for low-key strolling and browsing. A heftier walk up the hill to the Botanic Gardens is rewarded with rural views and a coffee, drink or lunch at the Wombat Hill House Café. Near neighbours Kyneton, Hepburn Springs, Trentham and Woodend are worth a visit. Drink up Aperitivo is from 5.30pm to 8.30pm daily, on the terrace or inside in the plush Argyle Library Bar. Spritzes and snacks (nuts, parmesan sable biscuits) are perfect primers for dinner. The minibar is light on the snacks (biscuits only) but good on the booze, with quality spirits and mixers alongside locally made Lake House beer and wine. LAKE HOUSE DAYLESFORD, AUSTRALIA One of the delights of staying at this French-country-house-inspired hotel a couple of hours\’ drive north-west of Melbourne is that you can savour the change of seasons – thanks to the area\’s micro-climate -with wood smoke, truffle hunting and mulled wine in the cooler months, and cicada song and the scent of lilac heralding summer. There are six acres of manicured lawns, orchards and, indeed, a glorious lake. Of the 34 elegant rooms, the two-bedroom Retreat is the place to stay: it\’s self-contained, intensely private and accessed through its own wrought-iron gate. Inside, all is milky white and olive-green, with deep sofas and contemporary four-posters dwarfed beneath soaring, white-timber cathedral ceilings. The cucumber, mint and aloe-vera body polish in the Salus Spa is a revelation, as is the restaurant, where a Martini glass of watermelon-and-vodka granita might be followed by smoked eel, pork-belly croustillant and squid noodles. Better still, host a private supper in the wine cellar with its selection of 10,000 bottles and some serious candlestick action. Co-owner Alla Wolf-Tasker and her husband Allan have really captured countryside smart. 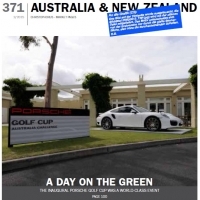 +61 3 5348 3329; www.lakehouse.com.au. Doubles from about £290. Positioned immediately below the Lake House Restaurant, they have created a new waterfront precinct which includes their intimate wedding and events space The Waterfront Pavilion set on the terraced lagoon foreshore extending down to the boatshed and lake. The Waterfront Pavilion features two openable walls of glass overlooking the waters of the lagoon. 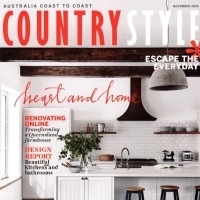 The interior style is one of sophisticated country charm with \”Hamptonesque\’ white bookcases and hand waxed recycled timber tables. Accommodating up to 40 guests; a personalised Gin, Champagne or Cocktail Bar is set up on the private terrace or alternatively a Whiskey and Cognac Station for post dinner drinks and cigars. The perfect intimate wedding setting with your closest friends and family. And in the winter months an open fire pit is available to ward off autumnal winter chills. The beauty of course with the Lake House it’s not just about the food. It\’s a change for a minibreak for couples and guests to get a little piece of country air. The rooms just got more sumptuous and luxurious in charm. They are spacious and light perfect for cosying up with a good book and glass of wine. Breakfast in bed maybe? The Lodge Suites have all been individually decorated and designed with contemporary country interiors. No one is exactly the same! With floor to ceiling eggshell white bookcases filled with collectibles and curiosities or other suites decorated with large original artwork. The seasons have always been keenly felt at Lake House, but presently there\'s greater change afoot, with a fresh aperitivo bar, lake-view deck and private dining room breathing new life into this grand old dame. There’s a revised vitality to the menu, too, with globetrotting ingredients (umeboshi, jalapeno, kimchi) popping up in dishes that are grounded in European technique. 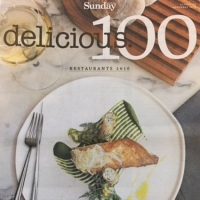 The menu is still as fiercely parochial as ever, showcasing the best of Daylesford in a shared entrée of smoked Murray River cod, poached yabbies, eel rillettes and pristine trout tartare. A main course of local chicken — breast poached in buttermilk, wing confited and leg ballotine wrapped in pancetta — is an assured balance of comforting and contemporary. Finish with a \”summer ramble\” of pistachio sponge, blackberries, honey panna cotta and chocolate bark, inspired by the ingredients and textures you\’ll find during a stroll around the lake. 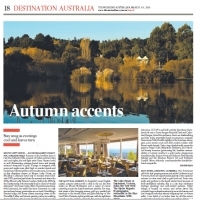 On a gourmet foodie weekend in Daylesford, Jane Ormond discovers the luxury of lakeside wining, dining and cooking. I’m up early on a Sunday morning. 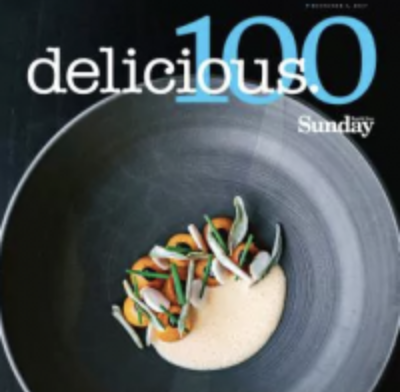 I am usually not a big believer in so doing, but dangle the (glazed heirloom) carrot of a culinary getaway in front of me and I’m on that freeway faster than you can say ‘eight-course degustation.’ I’m heading to Lake House, beside Lake Daylesford, about 90 minutes’ drive from Melbourne. Famed for its restaurant, it’s a lush enclave where art, food and relaxation reign supreme. 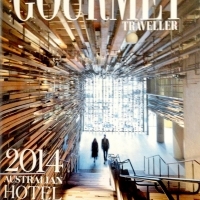 My main motivation is to attend a culinary spring masterclass, but I also want to explore the new surrounds. It’s been a long time since my last deliciously memorable visit so I’m keen to see what the relentlessly creative Wolf-Tasker family have been up to. On arrival, I’m offered a fortifying coffee under a wisteria-draped pergola before being guided inside to the Cooking School, with its fully equipped demonstration kitchen and angled mirrors above the workbench for a bird’s-eye view of the chefs at work. Hosted by the charismatic Alla Wolf-Tasker, it’s a day of fascinating insights at the hands of hatted chefs. After class, I head to my suite for a little downtime. Ivy-clad and surrounded by a squat hedge, it looks like a country cottage from the outside, but inside, this recently refurbished Lodge Suite (part of the estate’s original owner’s lodge) is so chic yet relaxed, so luxe and spacious, you can’t help but twirl. A fat jar of flowers from the garden, including sprigs of hypnotically tactile lamb’s ears, sits on the dining table. Light pours through the wrap-around windows, drenching the white wooden accents. Citrus-yellow velvet armchairs form a dappled reading nook in one corner, the feature fireplace is fresh out of North by Northwest, and an enormous, emerald velvet ottoman is worthy of the most photogenic lounging. Everything is made locally and to the Taskers’ specifications, including the upholstered bedhead and the mattress, which feels luxuriously dense and feathery, as if rendered from a fairytale. There’s Elemis in the bathroom and Gosset in the minibar. When my bed is turned down, there’s an Elemis pillow spray or a temple balm waiting for me – part of the ‘aromatherapy night-time ritual’. However, for me, the biggest luxury is being spared notoriously bad hotel art. Here, thankfully, a rotating selection from the Wolf-Tasker’s ever-expanding private collection will watch over you. It’s now late afternoon, the golden hour, and I think a little aperitivo might be in order, so I head to the intimate Argyle Library Bar, another new addition to the Lake House, for a refreshing Negroni. It’s a lounge-like, art-filled salon with soft grey leather couches, an open fire and an epic cookbook collection – and the ideal precursor to dinner in the famed restaurant down on the next level. Service is warm, informed but not starchy. The menu acknowledges it’s been a wild and unpredictable spring, offering bumper crops of some vegetables and slightly underwhelming crops of others, so dishes riff on availability. 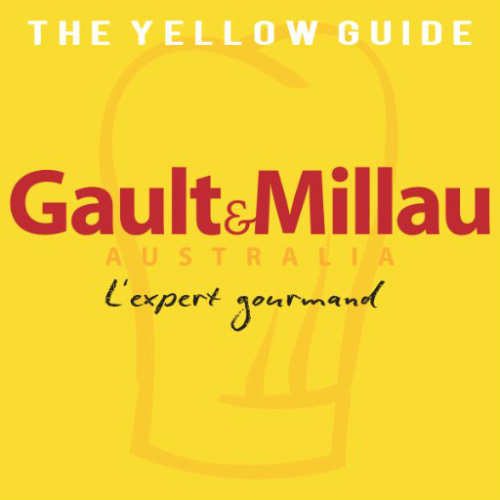 There’s an eight-course degustation or a la carte. I spot a dish with white asparagus, which I team with the sparkling house rosé, and dine under one of Allan Wolf-Tasker’s landscapes of the area. The next morning, I relax on the terrace of the restaurant with the papers (quietly delivered to the my suite deck before I’m awake) and a continental breakfast buffet – a jubilant spread of local produce and refreshing dishes such as orange, asparagus and goat’s cheese salad. Below the restaurant is the new Waterfront Pavilion. A Hamptons-style room in cooling whites and recycled timber tables, the Pavilion has glass walls that open out to water views and a mobile gin (or vodka) station. I can feel a sense of relaxed celebration already. Gently caffeinated, I explore the grounds – rubbing herb bushes to scent my fingers, communing with Mishka the hotel dog. I visit Allan Wolf-Tasker’s painting studio – a thrilling, colour-smudged cave of preparatory sketches, racks of paintings, pyramids of paint pots and an impressive vinyl collection. I decide to round off my stay with a relaxing treatment at Salus, the on-site day spa. It has a range of wellness treatments, massages and facials, but I opt for a treetop spa filled with 100 per cent pure Daylesford mineral water. In a small cabin perched in the treetops, I simply throw open the cantilevered wooden slat windows to welcome in the trees and relax in a warm spa. I look out through the bouncing leaves and take in the lushness below, daffodils poking up through ferns, a glimmer of the silver lake through the foliage, a posse of fat geese waddling by. At any one time, more than 25 per cent of Lake House guests are return visitors, and there’s a reason for that. The hotel is so intrinsically entwined with the land, the seasons, the local producers and the local artists, that it never stops evolving, capturing time and place in fleeting, delicious moments – or more permanent, painted ones. LAKE HOUSE, DAYLESFORD, VICTORIA: Discerning T&I readers need no introduction to this award-winning property run by food and hospitality doyenne Alla Wolf-Tasker and her team, but there is always something fresh and new going on here, from the restyled interiors of the Lodge Suites to seasonal menus and events in the on-site demonstration kitchen pavilion. Autumn fare? See what could be popping up on Lake House menus at the market-style Regional Producers Day amid the gardens and orchards on April 17; the annual event is billed as a showcase of “the best producers, bakers, farmers, makers, brewers, cooks, butchers, chefs and distillers” in the region and includes food and wine tastings. On May 1, an Autumn Masterclass (10am-4pm) features demonstrations and discussions hosted by Wolf-Tasker and starring a brace of Australia’s top chefs, including Russ Lusted of Sydney’s The Bridge Room. Then there are strolls around Lake Daylesford, its shores cloaked in flaring autumn colours, or through the picturesque town proper and up to the glorious Wombat Hill Botanic Gardens, where the former caretaker’s cottage is now a cosy cafe and store (high tea with scones, cream and jam, please), run by the unstoppable Wolf-Tasker, and the shady and elevated pathways are guarded by hard old elms, ashes and oaks. Sustainable produce? Kitchen gardens? Lake House has walked that talk for three decades. Little dates this resort-abutting restaurant on Lake Daylesford, where sun reflects on to crisp linens, service sets the bar for the art and fat kookaburras flock to be fed. A recent renovation puts deck parties on the cards, and the cooking remains spry, rooted only in a concept of seasonality. Silky skinned bug agnoletti get a dust up from kimchi and kaffir lime; venison is embittered by coffee, countered, by quince; veal tartare is mounted on a bubbly seaweed crisp with shaved bonito curls like a one-bite twist on vitello tonnato — old dog dishes doing clever new tricks, with cute touches like sweets on sticks preceding (slightly fiddly) desserts of meringues, poached fruits with raggy sponges and choc curls. A la carte is optional, but go all-in for the deg — it\’s the kind of place where Grange and Ruinart line the impressive cellar, but where sommelier Meira Harel is as likely to deliver the amphora-driven funk of a Brash Higgins 2014 Zibibbo. The mission to impress continues with success. PRO TIP Book the new 40-seat dining room for a party with lake views. FOR 30 YEARS ALLA WOLF-TASKER FROM THE LAKE HOUSE IN DAYLESFORD HAS STEADFASTLY CHAMPIONED LOCAL FOOD AND PEOPLE WHO CREATE IT. Being labelled a ‘crazy Russian immigrant’ thirty years ago when she set about transforming what was then considered Daylesford’s swamplands into a destination restaurant did not deter Wolf-Tasker. In fact, it fuelled her passion and dreams of turning her patch of unruly regional Australia by a now-glorious lake into a solid Australian success story. Three decades later, that’s exactly what The Lakehouse is – a wonderful world unto its own with 120 staff that is a bucket-list destination for lovers of food, wine, art and life. Alla Wolf Tasker is always looking ahead, and so The Lake House continues to grow like a well-nurtured orchard around her. Just recently, a sprawling wooden deck was added to the restaurant so that diners can be further ensconced in the picture-perfect view that the lake, gardens and trees have composed. And along with The Lake House’s growth, so too does the region continue to mature, every day word spreading further of its fine produce and passionate, innovative locals. “I always knew it was going to be a great region for small-scale artisanal suppliers,” says Wolf- Tasker. “How could it not, with its wonderful, fertile volcanic soils and an abundance of water in underground aquifers? We didn’t have the suppliers we have now, when we opened in 1984. It’s taken three decades to have our dreams finally come to fruition. An overnight success story really,” she says with a laugh. Fruition indeed. Today, the organisation that Wolf-Tasker chairs – Daylesford Macedon Produce – is 15 years-old and going strong. It is a collaboration between the vignerons, cooks, restaurateurs, publicans, provedores, suppliers and growers of Daylesford and Macedon Ranges regions. “We waited until we had developed a critical mass of great producers and growers around us, all linked to local restaurants, cafes and pubs and supporting a local food ethos. Then it all happened,” she says. “It’s an overnight success story really,” she says with a laugh. Many things have changed at Daylesford’s Lake House over the past 30 years, but a fierce commitment to excellence is not one of them. To survive 30 years in any business, you must remain relevant. But for founders Alla Wolf-Tasker, her artist husband Allan and their daughter Larissa, who is Marketing Manager, Daylesford’s Lake House also represents something much more: a lifetime commitment to excellence that transcends fads and fashion. 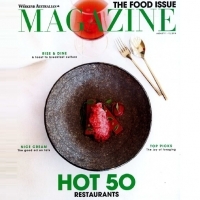 It’s a balance, Alla Wolf-Tasker concedes and the rewards of Two Chef’s Hats in The Age’s Good Food Guide, being on The Australian newspaper’s Hot 50 restaurants and awarded “Wine List of the Year 2014” has only been achieved through hard work maintaining it. “The enduring thread of the Lake House has been the same since we started in the small cottage here in 1984, which is about creating a sense of place.” Back then, the Lake House was a bare pad- dock overlooking Lake Daylesford but it has since grown to a series of buildings located in six acres of developed gardens. “We keep up with the times, but this doesn’t mean being ‘faddish.’ Our clients by and large are discerning people. They don’t follow fads and don’t need to tick off every trend. Maintaining this high, self-imposed standard has been a challenge for the Wolf- Taskers over three decades, during which the restaurant has grown from a small 45 seater with word-of-mouth recommendations, to an International culinary destination, encompassing an expanded “two-hatted” restaurant and function centre, a renowned Day Spa, quality country hotel and four years ago, the Wombat Hill House Café, a more casual café on another site in Daylesford. 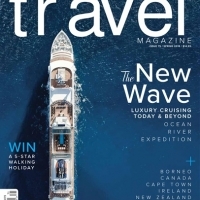 “We are now very much in the hospitality business, but one of the secrets to our longevity has been to maintain a standard in relaxed professionalism,” said Alla Wolf- Tasker. 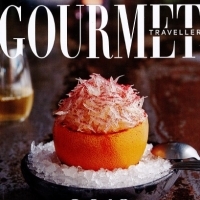 “I think good Australian establishments do this very well—probably better than anyone else in fact—because we don’t be- gin with a preconception of the status of the guest and the server. It’s a more relaxed separation. “You won’t hear ‘Hi Guys’ here—and certainly my people wouldn’t get involved in a conversation with a customer unless they were invited and encouraged to do so—but the atmosphere we create is relaxed and professional. People who work here are not waiters; they are hospitality professionals and they want to be the best in their business.” Many of the staff have grown with The Lake House. “For example, our original gardner, John Beetham, who developed the original gar- den along sound sustainable principles, is still shaping the property with us today; our in-house florist and designer has been here for more than 20 years and we have chefs and managers who have stayed 10 to 12 years, gone overseas and then returned to us. “Many of our staff have come from the local area, including many of our senior people who we have trained and ‘polished.’ So for many customers, Daylesford and The Lake House are synonymous. But the International status of the Lake House is not just the produce of Alla Wolf-Tasker; the enduring partnership with her husband—co-owner and resident artist Allan has also been a crucial ingredient. “He really is the wind beneath my wings,” she said admiringly. Many items on their menu are locally produced and this has fostered a culture amongst regional growers that has led Daylesford to become a “foodie” destination. Allan, meanwhile, has operated as Project Manager for The Lake House’s expansion over the years, while his art has helped the business develop its sense of place. His last exhibition of landscapes painted in this vicinity was very well received and his association with other local artists has helped develop that intangible and unique quality that The Lake House now has. His paintings, created on location and in one of three studios on the property, line the restaurant’s walls. Their daughter Larissa is a happy amalgam of both of them. She was three years old when the restaurant opened and followed her father in pursuing Visual Culture at University, but she doesn’t touch the kitchen. However by growing up in food and beverage, she understands the business intimately and does all its brand development, working with international wholesalers and overseas guests. Great restaurants need constant attention. Equally, and ironically, they also need constant referencing against, and inspiration from, elsewhere. The great restaurateur must therefore manage the double act of looking in and out at the same time: half the brain knows what the team is up to, half the brain knows what’s happening in New York, London, Paris and God knows where else. Somehow there must also be empathy with the clientele, an intuitive feel for what they want, balanced against what the restaurateur wants to give them. Which is our way of saying Lake House – at 30 years – is aging with remarkable style. Alla Wolf Tasker is a great restaurateur, and a fundamental part of that is the ability to embrace change and surround herself with younger, yet equally ambitious, staff. A stunning melange of raw, smoked, poached and pickled freshwater seafood, with crisp fish skin and tangy gels called Rivers and Lakes, is not only one of the great dishes of the restaurant but a bellwether of its more relaxed, in-tune-with-the-times food approach. Discipline is up, formality down. The givens here are great produce, even better service and a wine list (with service to back it) the equal of any regional restaurant in Australia. 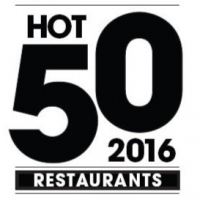 A serious restaurant – maintaining important standards – that knows how to have some fun. My sense of place. Always adventurous, never faddish, every meal a celebration — for 30 years Alla Wolf-Tasker has honed her Lake House ethos. It was 1979 when we bought the denuded, car-wreck-covered paddock that was to be the site for the restaurant of my dreams. Was there a demand for such a place? Were there any others like it? And, if not, why not? Moreover, what the hell did we think we were doing? All reasonable questions that we didn’t think to ask. Drunk on my experiences of France’s rural destination restaurants, I ignored the disconnect between what I had and what I wanted. Namely, a discerning clientele, artisan suppliers, career staff, a cellar of note and a knowledgeable sommelier, beautiful gardens and flower-filled interiors. Ambitious? Idiotic, more like. Against all odds, including a miserly bank balance, we began construction on an eroded south-facing block that no one else wanted. Unemployment in the then down-at-heel village of Daylesford was about 20 per cent. There were no local trained staff and attracting staff to live there was impossible. When I advertised for local produce, I was rewarded with a sack of potatoes, delivered to the kitchen. The “discerning clientele” that walked through the newly planted orchard to our front door were usually in search of Devonshire teas, toasted sandwiches or steak and three veg. When city folk ventured out on country drives, there was no expectation of finding good food. Ours was the first espresso machine in the region. My ambitious opening menu featured shiraz-glazed Castlemaine pigeon and twice-cooked goat’s cheese soufflé. Freshly foraged mushrooms and chestnuts, quinces and wild damsons, local trout and eel were on offer. It probably sounded grand to the sandwich seekers, but “grand” was never what we were about. In France, rural restaurants resonated with me for that reason. Unlike their city cousins, the great regional French restaurants were relaxed in their hospitality and had a palpable “sense of place” I hoped to emulate. Roger Verge was celebrating tomatoes from his garden, Georges Blanc channelled the cooking of his grandmother (La Mere Blanc), and boxes of produce from the market gardens of Provence arrived still covered in dew at Jacques Chibois in Cannes. Yes, there was considerable craft on the plates and pride in knowledgeable service, but the core of the experience in those places was conviviality and celebration. Michelin stars notwithstanding, children (and dogs, of course) were welcome at the table. In Australia, we were breeding inhospitable city restaurants full of pomp, supercilious service and badly duplicated classical French fare. A revolution was afoot, however, with people such as Stephanie Alexander leading the charge. Her celebrated Melbourne restaurant offered good-natured service and promoted named Australian produce rather than reproducing European haute cuisine. The countryside was still a desert, with economic sustainability for restaurants such as ours still a long way off. It would take the development of the wider region and persuading people to look for things in their own backyard rather than seek them out in Italy and France. The proliferation of good suppliers came even later, as consumers became interested in the provenance of their food, and better infrastructure encouraged people to move to the country. Many tree-changers have become our most valuable suppliers, fulfilling their dreams on small organic allotments or raising rare breeds. Drive an hour out of most of our capital cities nowadays and you’ll be sure to come across a decent café, a quirky general store or a cellar door. 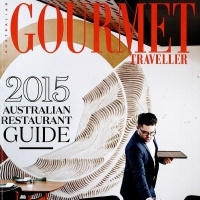 Australia’s regional destination restaurants are regularly the recipients of accolades and awards. I’m delighted Lake House maintains its place among them. 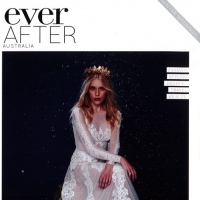 As for that discerning clientele I wished for, they now come to us from all over Australia and the globe. Fortunately, they’re not the box-ticking sort. Ancient grains? Tick. Tendons, testicles, tails? Tick. Obscure peasant dish? Tick. Like us, I suspect, having sorted through the chemical manipulation of foods, weeds as garnish, and twig camp fires and stone assemblages on dinner plates, they are interested in adventure but sceptical of fads. People often ask me about our “market” and a look at the dining room might suggest the eclectic population of another planet. High-stepping Jimmy Choos, short skirts and extraordinary body art jostle with the reefer jackets of chief executives. Locals come for birthdays and anniversaries; young people save for a proposal dinner. Our restaurant, still the beating heart, has grown into a small hotel and spa with more than 100 staff, set in beautiful gardens with a pristine lake. Remaining relevant has enabled us to prosper, despite difficult times for the industry. And Lake House remains, as ever, a work in progress. To mark 30 years of Lake House, a black-tie event is being held on New Year’s Eve; all proceeds will be donated to the local Country Fire Authority. Visit lakehouse.com.au. Forager's Feast. Already famed for its two-hatted restaurant and luxe accommodation, Lake House is fast becoming know for its cooking school where the focus is on foraging and local produce. YOU’LL NEED TO WAKE UP WITH THE ROOSTERS if you want to join Alla Wolf-Tasker when she goes foraging in preparation for the cooking classes at her legendary Lake House restaurant, spa and hotel in Daylesford, Victoria. 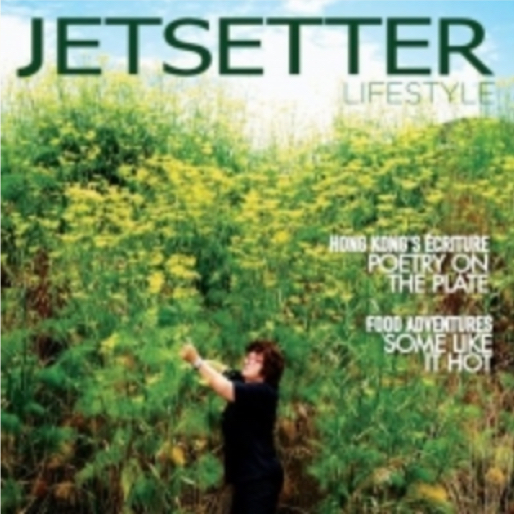 After 30 years of living and breathing this beautiful region where rolling farmland meets lush forest and natural springs abound, this savvy chef knows where to find all manner of wild herbs, including lemon balm, geranium and dandelion, plants and flowers that she uses to add flavour and flourish to her dishes. Alla, who has been running occasional seasonal cooking classes at the Lake House for the last four years, officially started the school in May this year. “It brings me enormous pleasure to see people wanting to reconnect with food and to learn about it,” says Alla. “It’s wonderful to see a merchant banker and a qualified chef exclaiming over just-picked tomatoes or the mastering of some tricky technique.” Alla is passionate about promoting small-scale regional producers, often using local award-winning produce including Tuki Springs trout, Holy Goat cheese and Angelica Organic garlic. Many of the producers make guest appearances at the school to share their specialised crafts. With a focus on local, seasonal produce, often set in spectacularly beautiful surrounds, regional restaurants are luring diners to new culinary adventures. It seems astonishing that Lake House has been around for 30 years. 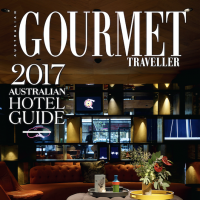 The restaurant/country hotel/day spa has an energy and exuberance that much younger pups could only dream of, while dining in the comfortably upholstered, light-filled restaurant still ranks as one of the best food experiences in Australia. The beautifully maintained dining room helps, as does the crack service and impressive wine list with a fondness for local and international heroes. But it is the food, based around locally sourced produce as much as possible, that anchors Lake House with its sense of place. Locally made charcuterie is teamed with house-made pickles and leaves from the restaurant’s own vegetable patch. Quail stuffed with pork (both from the region) might be wrapped in cabbage and served with a vibrant masterstock broth, while desserts make a highlight of local seasonal fruit. It’s an all-round impressive performance, even without the age factor. Open: lunch & dinner daily. Licensed. "A genuinely superior dining experience worthy of a detour. Put simply, this restaurant boasts one of the finest, most interesting and most mouth-watering wine lists in the country." Thirty years after it opened, Lake House is still a standard-bearer for regional Australian dining. The light-flooded, meticulously maintained dining room, with its linen-dressed tables and cushion-strewn banquettes, exudes luxury, comfort and sense of place. The lengthy wine list’s generous representation of local regions underlines this sense of place, as does the menu, which mixes great local produce with that from further afield. Local quail stuffed with slow-cooked pork might come wrapped in a cabbage leaf and served with a brilliant masterstock broth, while Moreton Bay bug agnolotti is teamed for the win with house-made kimchi and tempura tofu. Local vegetables, herbs and flowers share space with polenta, a slow-cooked egg and crunchy grains, while poached Patagonian toothfish is lifted by a saffron veloute. Great service ticks the final box of this impressively well-rounded experience. It can be hard to remember, as Lake House celebrates its 30th birthday, just how ground-breaking it was for Alla Wolf-Tasker and her artist husband Allan to set up a restaurant modelled on the great regional restaurants of Europe in Daylesford, a depressed town in regional Victoria. But as it has grown from a three-day-a-week, 45-seat restaurant built on “a swamp” to a renowned hotel, day spa, cooking school, function centre and farmers’ market, Lake House has proved to be both template and benchmark for so many others that followed and headed out of town. Beyond the remarkable success and influence of Lake House is Wolf-Tasker’s staunch and vocal commitment to the trade – the championing of local producers, time spent on tourism boards giving a voice to regional concerns, the mentoring of chefs, the investment in local projects like the Daylesford Primary School Kitchen Garden project – that has made her contribution even more significant and was a big part of the reason behind her receiving a Member of the Order of Australia medal. Chef Philippa Sibley recently paid tribute to Wolf-Tasker and a number of other women chefs in the state by including dishes dedicated to them on the Queens of Victoria menu at her Melbourne restaurant Prix Fixe. She’s worked with Wolf-Tasker in the past and describes her as “a person who likes to have something to fix”. And the lady herself? Though she claims to be “hitting the wall more frequently these days”, it seems she’s dreaming aplenty – be it of a regionally based tertiary training facility for the culinary arts and best practice agricultural production, or for the Daylesford area to receive regional accreditation as in Europe. Despite her claims of slowing down, there’s still plenty to be getting on with. Thank goodness, Stacey-Lee Edwards has won the Judy Hint Award. Until now she has been languishing as sommelier and beverage director in deepest Daylesford at the sublime spa, sophisticated hotel and stunning restaurant that is Lake House: the black sheep among her Melbourne University friends, all of whom now sport PhDs. Like so many in the industry, Edwards had another life. She was a science student who gained an honours degree and worked two science jobs before deciding she wanted a life in wine. She had worked at La Luna Bistro while studying so she had some insight. Edwards spent almost two years (from 2004) at Taxi as sommelier and sake sommelier, learning a great deal in the course of the latter job. This was followed by a year as assistant sommelier to David Lawler at Rockpool Bar & Grill, Melbourne and a brief spell at Punch Lane Wine Bar before taking off for the brighter lights of London. A short spell at the Pantechnicon Rooms as sommelier was followed by more than three years at London’s iconic River Cafe as head sommelier for most of that time. On her return to Australia she worked at Melbourne’s short-lived Virginia Plain before moving to Lake House early in 2013. Under its previous sommelier, the high-profile Tom Hogan, Lake House had an outstanding list winning Best Country List in 2013 and Best Regional List in 2012. To what extent is this Edwards list? My fellow judge and colleague, Toni Paterson MW did the analysis. “While she has inherited an amazing list, there have already been noticeable, valid improvements,” Paterson explains. “It’s like she has come in and put finishing touches everywhere. The presentation is more friendly, the formatting better and the layout has been tweaked. The concept of regionality has been improved upon. The local craft and regional beer selection has been expanded. Also local aperitifs. More small-batch gin from micro-distilleries -including local Australian producers – plus local vodka, Tequila and quality single malts. At the other end, we see her experience with Italian wines creeping in – there is now a long list of Amari. Fortifieds by the glass have been improved. The sweet wines are better. Local cab francs have been added. She has given malbec a deserving category of its own. There are now more Rhone reds. The Italian red selection has been refined. The orange wines have become amber. The Riesling options have been improved upon. It’s her list. No question. To be blunt, most statements of philosophy on wine lists are a trial. Not so at Lake House: Edwards’ introduction to the wines is refreshing and carefully crafted – a strong and believable statement. Although the wine list is extensive, it should be remembered that Lake House is a family business with a 30-year history in country Victoria. Its success shows what perseverance, hard work and talent can achieve even with relatively modest resources. The list celebrates nearby wine regions by displaying them in an international context. There’s a significant listing of local bubblies, Riesling chardonnay, pinot noir and Shiraz alongside fine examples from the rest of Australia and overseas. The Champagne list is revealing. The great names are there (Salon, Pol, Cristal, Dom) but also cutting-edge growers, and organic and biodynamic producers. 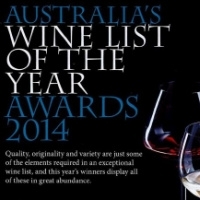 Surprisingly, given its size, it’s a tight list with each wine justifying its place. The range of varieties is extensive (from assyrtiko to verdicchio; aglianico to xinomavro). While it’s a relatively youthful list, there are more than enough mature wines. It has taken more than 30 years of tireless enthusiasm and meticulous attention, but Alla and Allan Wolf-Tasker have created a remarkable property that sets the standard for regional hotels in Australia. Take a beautiful setting, add sumptuous accommodation, a restaurant so good it’s a destination dining spot, a decadent spa and the sort of calm, considerate service that makes every guest feel special, and you have Lake House. Leaving Lake House can be a bittersweet experience. Set beside a picturesque lake scattered with ducks, on 2 ½ hectares of dappled gardens, there’s a sense of peace here that slows time, relaxes shoulders and makes re-entering the real world something of a wrench. There’s serenity in the beautifully appointed rooms, too; these are generous , light filled spaces of textured autumnal colours, comfortable couches and thoughtful touches such as locally sourced merino throws ( ideal for afternoon napping). The Retreat, a private country house on the property with its own outdoor spa and fire pit, offers the ultimate in rural seclusion. Butler service is available for those who want to live the dream. With the much lauded Lake House Restaurant – its terrace is perfect for watching sunsets while sipping aperitivi – a day spa that includes private treetop abodes, and a guest lounge with billiard table and open fireplace, you might start plotting ways to stay here permanently. Charming staff, unobtrusive but present when you need them, do their best to help unwind even the most tightly wound. Don’t Miss: Dinner at the Lake House restaurant, a regional landmark that changed attitudes about the calibre of country dining. The local, seasonal menu is sophisticated without being too tricky; a superb wine list mixes great local labels with the best stuff from around the world. Drink Up: A predinner drink on the terrace is a must and the aperitivo list is very good. The Telefonino is a sweet bitter mix of Rabarbaro ( an Italian, rhubarb based liqueur), Punt e Mes, Campari, lemon & tonic water. "A place to talk, drink and share the pleasures of the table..."